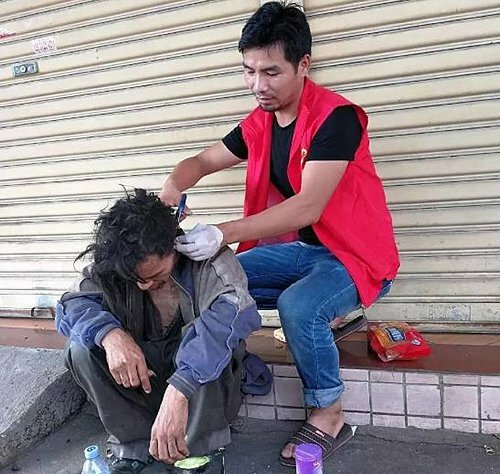 33-year-old Cai Yanqiu has spent the last three years of his life traveling through his home country in China with the sole purpose of helping homeless people in any way he can. 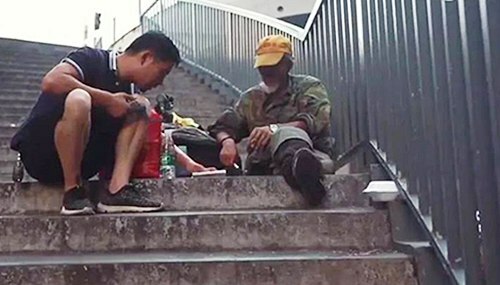 Cai Yanqiu’s decided to dedicate his life to helping homeless people three years ago. He had set up a small stall in Zhanjiang, China’s Guangdong, and he was waiting for customers when he saw a barefooted homeless man pass him by. That man reminded him of the devastation caused by the loss of his brother, over two decades ago. In 1994, Cai’s brother who suffered from epilepsy, disappeared from the family home, and when he was finally found, 3 days later, he was in such a bad condition that he passed away in his family’s arms. Cai remembered his mother lying in bed for days morning the loss of his brother, and after doing some crying of his own after seeing the homeless man, he decided that he couldn’t just stand by and allow other families to go through what his did. So in July of 2016, Cai bought a used van, filled it up with quilts, toiletries, a folding bike and some supplies, and left his family to seek out homeless people and attempt to reunite them with their families. He has since driven over 90,000 kilometers all over China, and managed to reunite over 50 people with their loved ones. 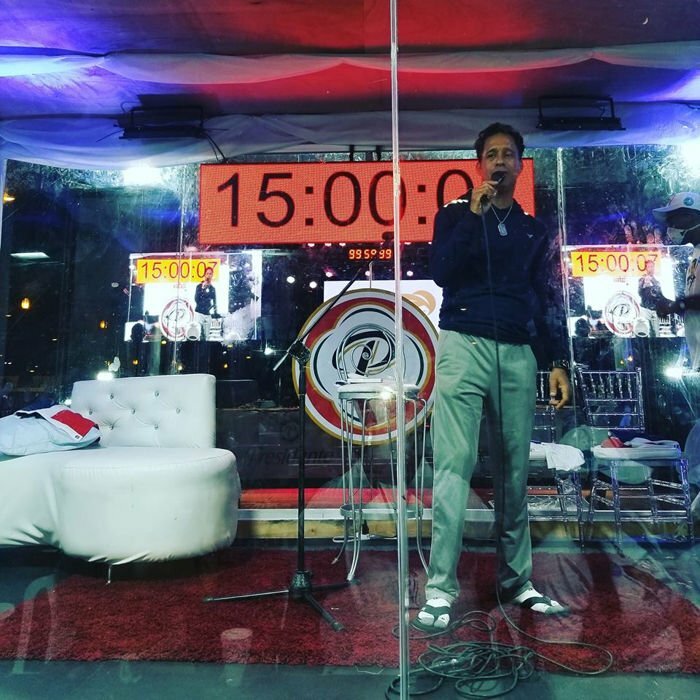 However, getting close enough to these estranged members of society to hear their life stories isn’t as easy as some might think, and some simply don’t want to return to their families. Cai Yanqiu told Xinhua News that it sometimes takes him weeks to gain a homeless person’s trust. Having been shunned by society and often verbally or physically abused, many of these individuals are wary of strangers, even those who appear to have the best intentions. Some of them also take refuge in hard to reach places, like sewers, unfinished or abandoned building and inaccessible bridge holes. Then there are the mentally disturbed or the old people who drag their carts of garbage around and refuse to communicate with anybody. There have been times when Cai tried for almost a month to get close to such people, before finally accepting defeat and moving on. 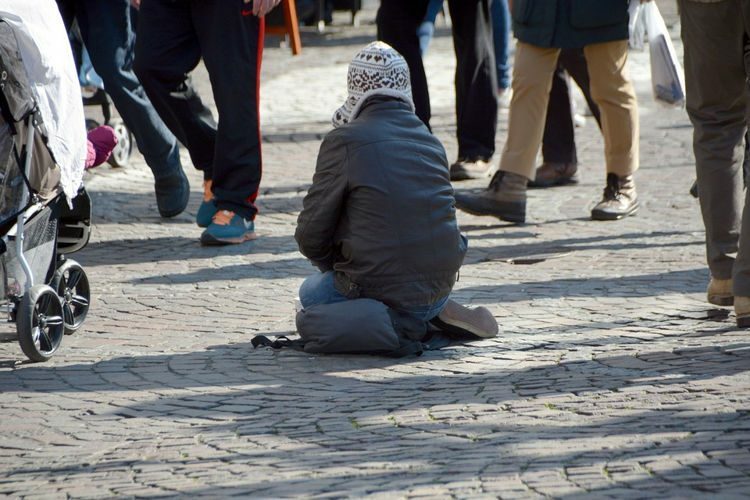 The kindhearted man says that behind every homeless person there is a grieving family, but he admits that some of the people he has met simply didn’t want to go back to their old lives. He respects their decision, and always tries to make their lives better any way he can. He has a barber’s kit, a set of pots, shoes, clothes and quilts in his van, and he offers to shave or cut the hair of any homeless people who will let him, cooks them food, and gives them clothes and shoes to wear. Over the past three years, Cai Yanqiu has managed to reunite over 50 homeless people with their families, but claims that his mission will only be over the day he cannot find homeless people anymore. Then he’ll finally be able to return to his own family. The 33-year-old sleeps in the van for weeks at a time, and sometimes ends up looking like the homeless people he tries to help. Still, things are much easier now than when he started out, thanks in no small part to the internet. A couple of years ago, a friend of Cai’s suggested that he livestream his journeys around China, and his amazing kindness has conquered the hearts of hundreds of thousands of people who now follow him on one of China’s largest livesreaming platforms. They call themselves “dream chasers” and support their hero with donations. Cai Yanqiu says that the recent popularity of his livestreaming channel gave him the chance to become a rich man, but that’s not what he is interested in. Some of his followers have offered to bypass the platform’s donation process and send him money directly via WeChat, but he refused. Some of the families of the homeless people he helped on his journey offered to pay him as a way to thank him, but he wouldn’t hear of it. There was also a company who wanted to invest in him, and create special teams to assist him on the road, but he again refused. Right now, Cai is happy that the donations he receives from his fans are enough to cover his expenses. He hopes that he will soon be able to settle all the debt he accumulated during the early days of his incredible adventure.